Expertise in overall design, control and automation process equipment assembling and programming on site. 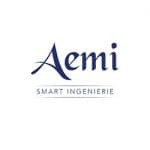 Click here to discover AEMI SMART INGENIERIE distributor profile. For AEMI SMART INGENIERIE: Software integration MyHyperView: BMS, MtoM, 4.0 Industry, Control, Teleprocessing, MEs, GMAO, Supervision. For AEMI CABLING SYSTEMS: CleanSuite integration – Clean zone management in the pharmaceutical, cosmetic and hosptial environment. BMS and monitoring development. FDA 21CFRPart11 pharmaceutical approved. MtoM teleprocessing drivers: MtoM teleprocessing for fixed or mobile process equipements. We help companies with the commissioning of specific techniques. 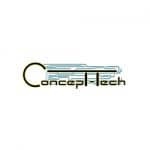 We develop custom solutions.Click here to discover Concept-Tech distributor profile. Web interface for mass instruction encoding. Peelit is a swedish consultant company within Security and IT-Architecture, specialized in IoT, Cloud Security and Compliance. Click here to discover Peelit distributor profile. Social media integrations: Facebook and Twitter. 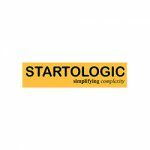 Startologic Technologic, India, was incepted in Bengaluru, the Silicon Valley of India with the philosophy of Simplifying Complexity. Click here to discover Startologic Technologies distributor profile. Driver development: FFT PIDS, Crown Solar, Fence System, Magos Radar. 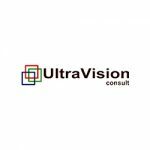 ULTRAVISION CONSULT team is focused in offering to regional market (Central & Eastern Europe) full range of professional services and reliable electronic security & safety solutions. Click here to discover ULTRAVISION CONSULT distributor profile. Visitor management using external ID cards scanner. Business Intelligence Dashboarding for integrated systems. Approval workflow application for contractores / visitors access requests. Entrance / Exit (IN/OUT) car registry & reporting based on LPR metadata technology and video verification. InnerRange Concept 4000 supervision driver. Jantar Access Control events & control driver.